Cloud Computing promises novel and valuable capabilities for computer users and is explored in all possible areas of information technology dependant fields. However, the literature suffers from hype and divergent definitions and viewpoints. Cloud powered higher education can gain significant flexibility and agility. Higher education policy makers must assume activist roles in the shift towards cloud computing. Classroom experiences show it is a better tool for teaching and collaboration. As it is an emerging service technology, there is a need for standardization of services and customized implementation. Its evolution can change the facets of rural education. It is important as a possible means of driving down the capital and total costs of IT. 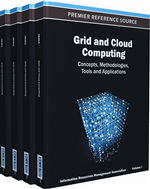 This paper examines and discusses the concept of Cloud Computing from the perspectives of diverse technologists, cloud standards, services available today, the status of cloud particularly in higher education, and future implications. The birth of the web and e-commerce has led to the networking of every human move and thus the personal lives started moving online. Today Internet has become a platform to mobilize the entire human society. Enormous data are required to be processed every day and therefore it requires too many hard wares and soft wares at every individual level. This leads towards high cost and increase in pollution. To reduce cost and inculcate green environment concept, attention is required to hold the pool of data accessed and process the same. Hence, reshaping the data center and evolving into new paradigms to perform large scale distributed computing is the need of the hour (Magoules, Pan, Tan, & Kumar, 2009). An infrastructure for storage and computing on massive data and to pay for what you want, advance into a realistic solution, to centralize the data and carry out computation on the super computer with unprecedented storage and computing capability. Gartner, Inc., defines the solution as Cloud Computing, a style of computing where massively scaleable IT-enabled capabilities are delivered ‘as a service’ to external customers using Internet technologies (Gartner, 2010). Cloud computing is an important development on par with the shift from mainframe to client-server based computing. McKinsey suggests that using clouds for computing tasks promises a revolution in IT similar to the internet and World Wide Web. Burton Group concludes that IT is finally catching up with the Internet by extending the enterprise outside of the traditional data center walls. Writers like Nicholas Carr argue that a so-called big switch is ahead, wherein a great many infrastructure, application, and support tasks now operated by enterprises will-in the future-be handled by very-large-scale, highly standardized counterpart activities delivered over the Internet. Cloud computing is also potentially a much more environmentally sustainable model for computing. The ability to locate cloud resources anywhere frees up providers to move operations closer to sources of cheap and renewable energy. As higher education faces budget restrictions and sustainability challenges, one approach to relieve these pressures is cloud computing. With cloud computing, the operation of services moves “above the campus,” and an institution saves the upfront costs of building technology systems and instead pays only for the services that are used. As capacity needs rise and fall, and as new applications and services become available, institutions can meet the needs of their constituents quickly and cost-effectively. In some cases, a large university might beam a provider of cloud services. More often, individual campuses will obtain services from the cloud. The trend toward greater use of mobile devices also supports cloud computing because it provides access to applications, storage, and other resources to users from nearly any device. While cost savings and flexibility are benefits to the use of cloud computing, the downside of such service adoption could include possible risks to privacy and security. But ultimately cloud computing could provide a means to stretch limited resources and make them more useful, to more people, more of the time. The growing breadth of institutional sourcing options requires IT leaders to evaluate more options and providers. As technologies like virtualization and cloud computing assume important places within the IT landscape, higher education leaders will need to consider which institutional services they wish to leave to consumer choice, which ones they wish to source and administer “somewhere else,” and which services they should operate centrally or locally on campus. One important option is the development of collaborative service offerings among colleges and universities. Yet, substantial challenges raise at least some near-term concerns including risk, security, and governance issues; uncertainty about return on investment and service provider certification; and questions regarding which business and academic activities are best suited for the cloud.